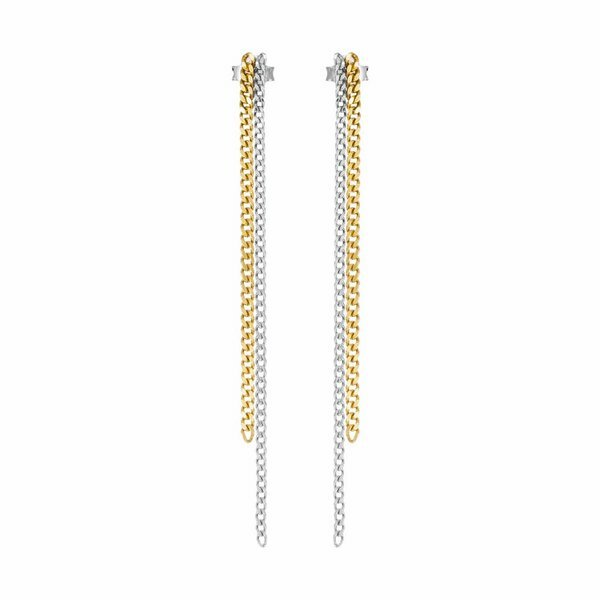 Chic minimalism describes perfectly our Double Chain Earrings. 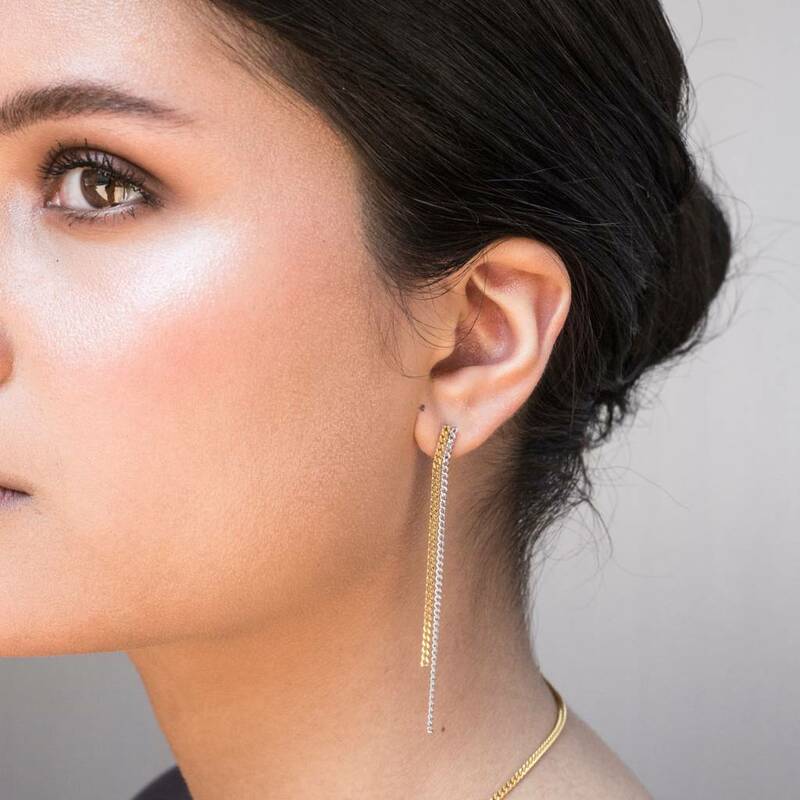 Similar with the Interlinked Earrings we introduced years ago, this pair is more visible with thicker gold plated and the silver chains. Wear them for evening with swept-back hair. 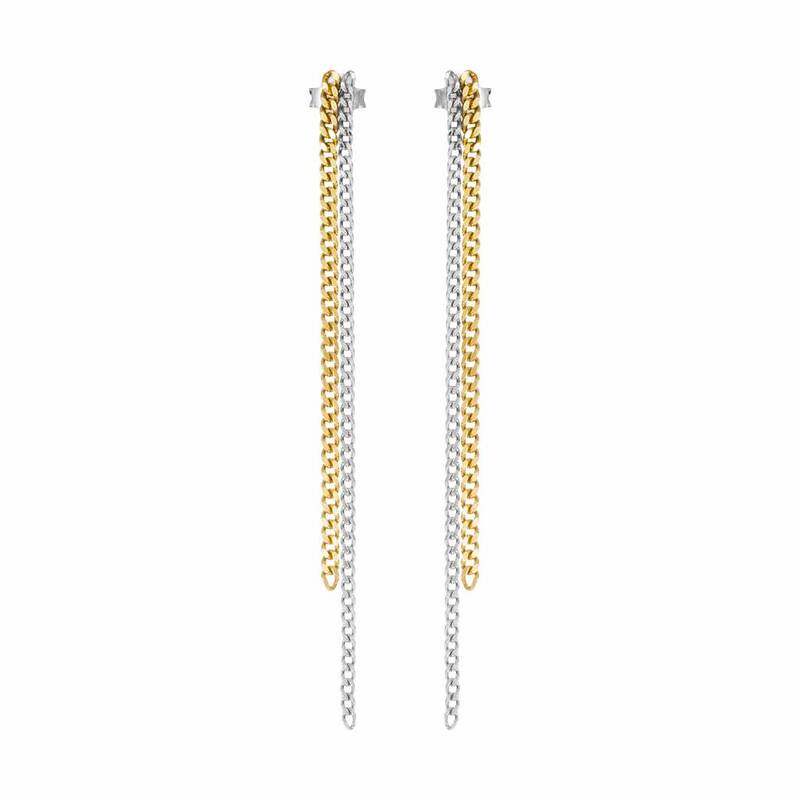 The new Double Chain Earrings is part of our Folklore Collection. 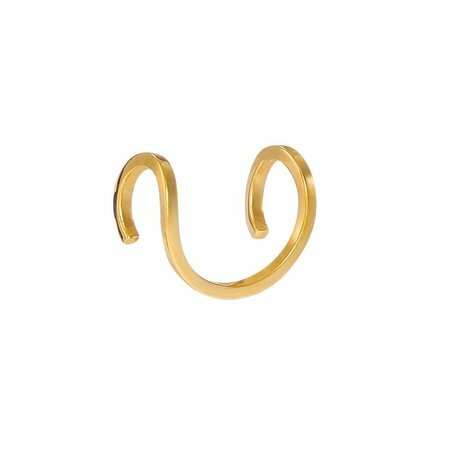 All our collections are designed in The Netherlands and made in Portugal, where Dutch Basics works with small ateliers and know the workers personally. This piece has been certified in Portugal. Please handle this delicate jewellery with care. 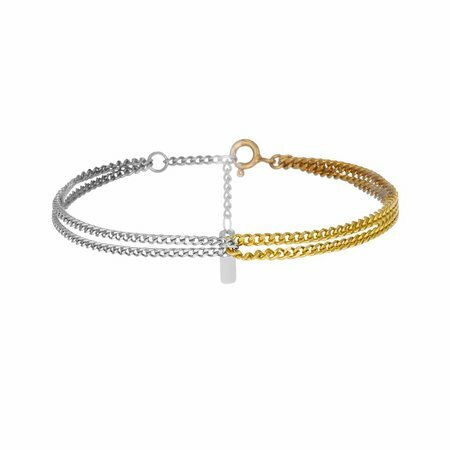 Gold or Rose plated silver will fade with time. In order to keep the beautiful colour avoid the use of acid liquids such as perfume. 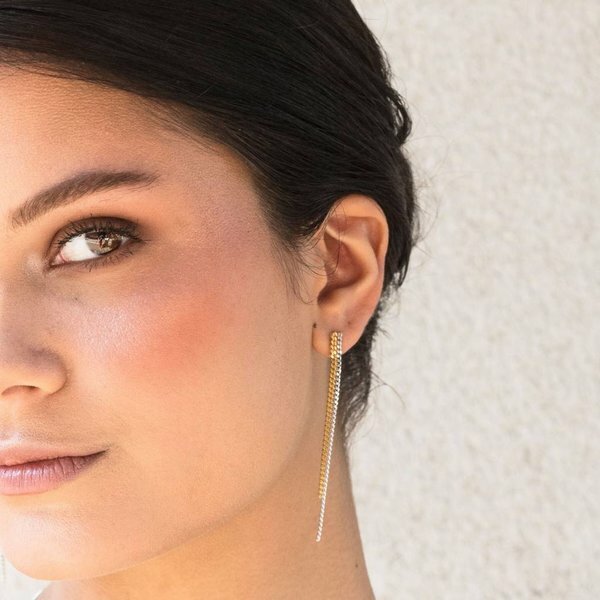 Enjoy your Double Chain Earrings!